I usually stick to the breakfasty items on the menu at Local Press, but this visit was definitely at lunchtime, so I ventured into the actual lunch offerings. I was tempted by the kangaroo sirloin, but being a warm day decided for the cooler salad option – a soy ginger chicken and black sesame Vietnamese salad. The plate came out and I was impressed with the vibrant colours – getting stuck in, the salad was just as fresh as it looked. The snowpeas, capsicum and broccoli were all lovely and crisp, enhanced by the fresh mint and basil and rounded off with a good kick of chilli. The noodles were a bit underdone for my taste, although it made them easy to pick up, and I loved the fresh, tangy flavour of the vinegary sauce. The black sesame and cashews added flavour hits, but the star of the dish was the chicken – beautifully tender and packed full of flavour, these pieces were plentiful and moreish. I also had one of the cold pressed juices – orange, mandarin and passionfruit, which helped me cool down from the chilli. The citrus was sweet and refreshing, and the passionfruit added a nice bite. Lovely. I adore those beautiful spring weekend mornings when you can feel the sun shining on your face! 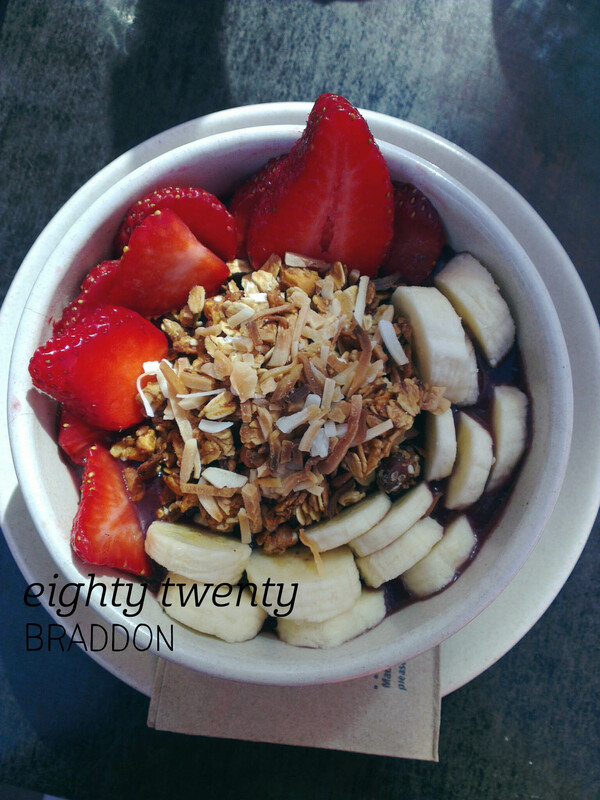 My friend and I enjoyed one such morning sitting outside at Eighty Twenty. Another friend had recommended trying one of the acai bowls – acai isn’t my favourite flavour, but with the delicious-sounding toppings I gave the “O” bowl, one of three options, a go. Our food came out quickly, although not at the same time, and I admired the neat presentation of the strawberries, bananas, granola and toasted coconut on top. 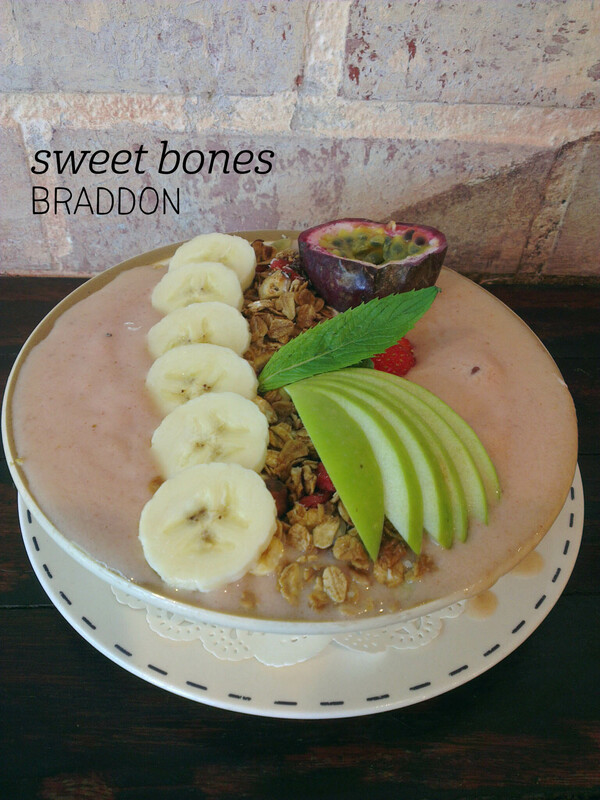 The concept reminded me of Local Press’ smoothie bowl, with a dairy-free acai blend beneath the fruit and granola. Winning combination! The granola was the rock star of this meal – crisp, sweet and full of oats, almonds and other delicious things, every mouthful was a delight. The acai blend was lovely and refreshing, with bits of ice and banana to thicken it up. I also really loved the fresh banana and strawberry – this, combined with the icy acai and the crispy granola meant the dish ticked all the flavour an texture boxes. The portion size was just right for brunch and for $14 it was reasonable value. I can’t wait to try the other two! Sometimes I feel like this blog is a bit of a love letter to Local Press. Every time I eat there I have a consistently excellent experience, and this time was no exception. Having not tried it before, I opted for the smoked leg ham toasted sandwich, while my friends tried the French toast and the porridge. The food came out quickly, and I was struck by the vibrant colours on the plate. The menu didn’t mention that the sandwich came with a salad, so that was a pleasant surprise. 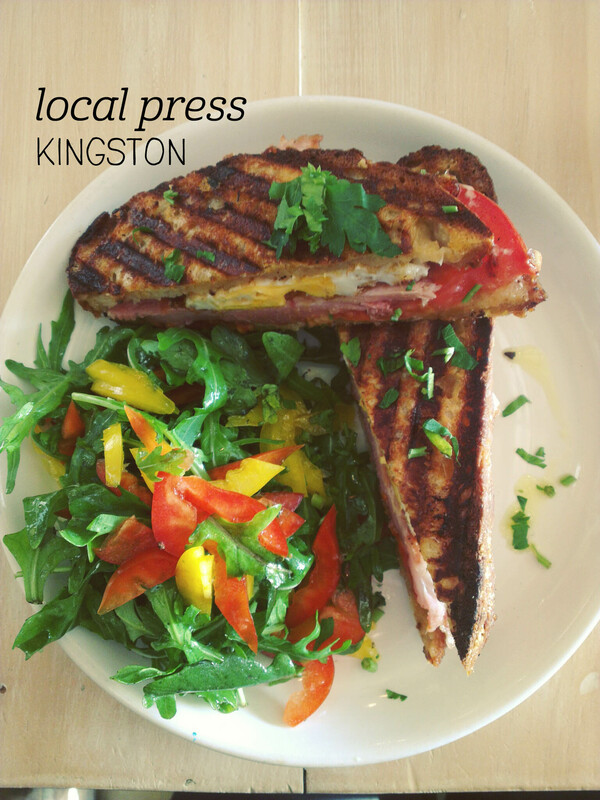 The fresh rocket and capsicum was a perfect way to lighten up the rich toastie. And what a toastie it was! The bread had obviously been pan-fried in butter – it oozed with deliciousness and the flavour was incredible. I chose to add a fried egg into the filling and it went really well with the thick-cut leg ham (slightly chewy, but really tasty), the fresh tomato and the tasty cheddar. The whole breakfast was so hearty and I think it would have still been super filling, even without the added egg. The other dishes looked great too – I’ll be back soon to try them out! 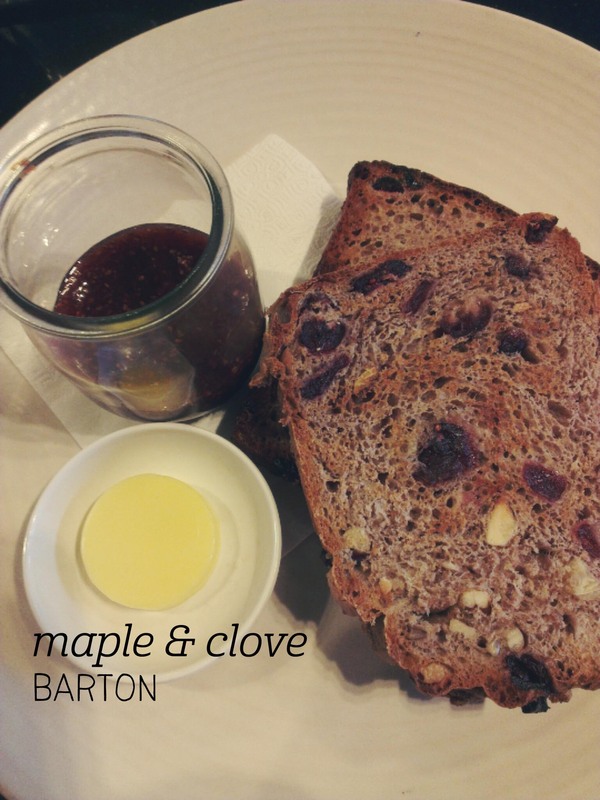 Sometimes you just want a light breakfast, and when I met my friend at Maple & Clove I was a bit disappointed to realise it was one of those days. The menu looked amazing and whilst I would have loved to try a cooked breakfast, the Spelt Fig and Walnut toast was calling my name. I ordered a pot of sencha meicha loose leaf tea to start, which came out in a petite teapot with a removable infuser. The tea had just the right note of green overtones and was comforting and warm. My toast came out with butter and chia strawberry compote, which I have to admit was a wonderful substitute for jam. Presented in a cute little jar, the compote was lovely and spreadable and wasn’t overly sweet. Whilst it didn’t look like much, there was plenty there. The toast itself was perfectly toasted, still easily cut and with a light texture. The crunch of the walnut was perfection and the meal was exactly what I felt like. My friend had poached eggs with mushrooms and found it very filling – I’ll be back at Maple & Clove when I have more of an appetite. 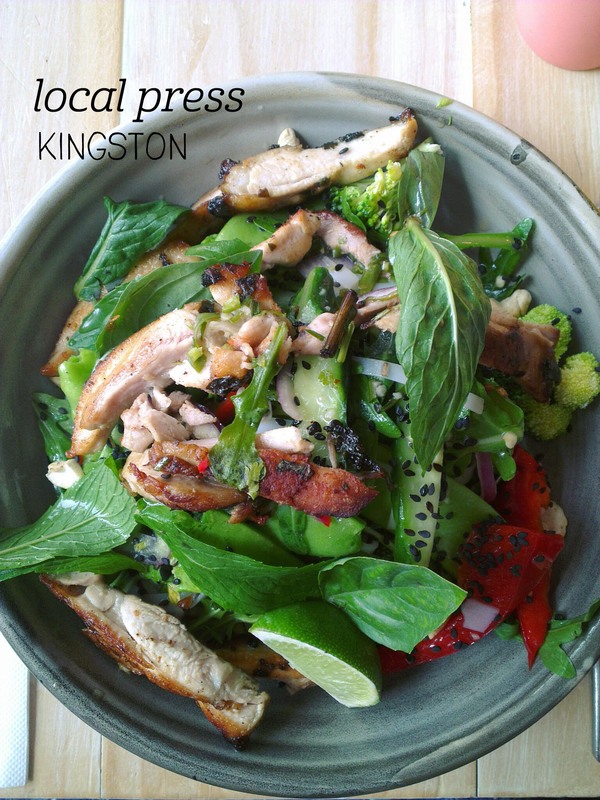 An important part of Local Press is its emphasis on wholefoods, and this is reflected in their menu choices. 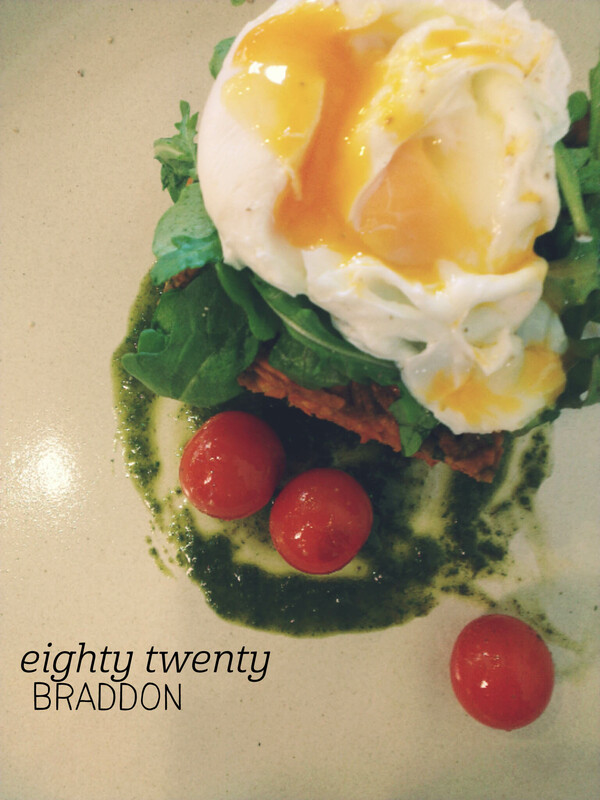 The first item on their menu encapsulates this philosophy, and having tried the majority of other items, on this visit I decided to dive right in and try the ‘green breaky plate’. My only reservation was that it might not be filling enough – I shouldn’t have worried. 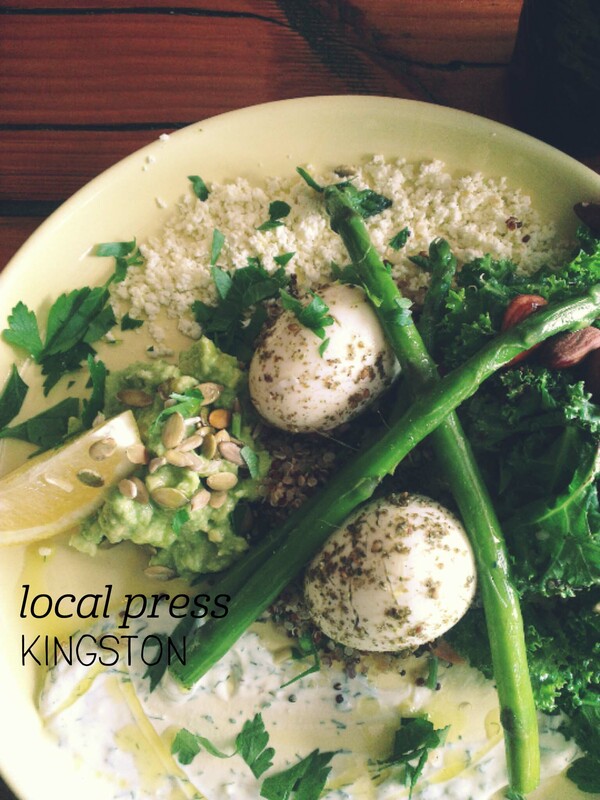 The portions at Local Press are just right and I enjoyed walking away from breakfast without feeling bloated. The plate included hard boiled eggs coated in za’atar (a Middle Eastern spice mix), which were still steaming when the plate was served. The asparagus was beautifully soft and brought to life by the dill yoghurt and avocado. I haven’t jumped on board the quinoa bandwagon, but the quinoa tabouleh provided a great contrast of textures, complemented by the fresh kale. But the highlight of the dish had to be the almonds. Yep, nothing more than incredibly good quality, flavoursome almonds, which served simply on the kale showcased what the wholefood philosophy can do in the taste department. There might just be something to this trend after all.